It's the height of irony. Irrigation systems designed to buffer farmers from the effects of a warming planet may be causing them to think their local area is cooler and wetter than it is, says research to be published June 1 in the journal Global Environmental Change – perceptions that other studies suggest may slow their efforts to address climate change. The paper is the first to show the impact of infrastructure on climate perception, said principal investigator Meredith Niles of the University of Vermont. The research compares the climate record since 1980 of two wine producing regions in New Zealand, Marlborough and Hawke's Bay, with resident farmers' perceptions of climate change. Both areas rely heavily on irrigation for growing grapes and other crops. Although neither region has experienced a significant change in annual rainfall since 1980, 51 percent of farmers in Marlborough thought rainfall had increased over time. In Hawke's Bay 35 percent thought rainfall had risen. 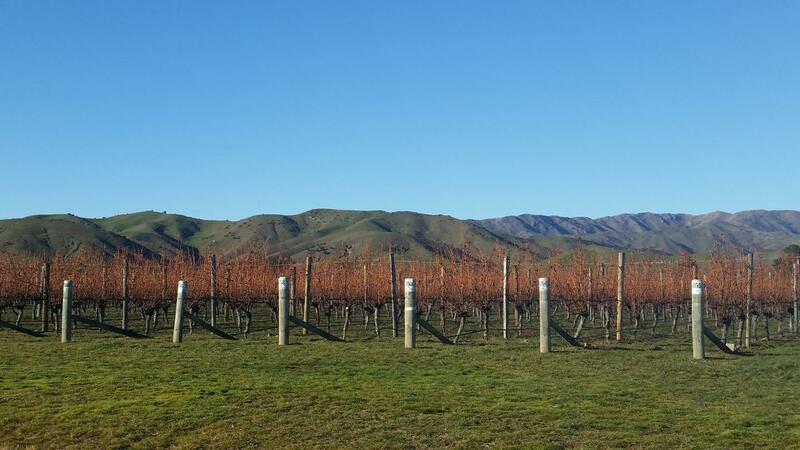 Marlborough has about one-and-a-half times more irrigated land than Hawke's Bay. The types of farmers that had irrigation infrastructure were more likely to be among those who perceived increased rainfall. "This study is the first to suggest that infrastructure like irrigation that can help farmers deal with the climate may actually affect how they perceive climate change," said Niles. "What may have previously been dry pasture is now lush with green leaves and grapes. It's not surprising that some farmers believe precipitation has increased." A significant percentage of farmers in both regions – 45 percent in Marlborough and 38 percent in Hawke's Bay – also thought summers had cooled, even though the historical climate record shows that only winter temperatures had increased in the region. The belief among farmers that summers were cooler was linked with perceptions of annual rainfall increases. Farmers who believed the climate was changing were more likely to perceive summer and winter temperatures had risen. Niles' co-author in the study, Nathan Mueller of Harvard University, suggests that farmer perceptions of cooling might be related to increases in evapotranspiration from irrigation, a phenomenon he has examined in other research. Other studies have shown evapotranspiration can cool air temperatures in heavily irrigated areas by as much as one to two degrees Celsius, with particularly strong effects on the hottest days. The findings are especially significant because of their behavioral implications. Niles and Mueller found that farmers who perceived the temperature had increased were more likely to believe in climate change and be concerned about multiple future climate risks; those who perceived it had stayed the same or decreased were less likely. These beliefs and concerns, in turn, are linked to potential behavior changes. In an earlier paper, Niles showed that experience with, and belief in, human-induced climate change, was necessary for farmers to want to reduce their greenhouse gas impacts and adopt adaptive strategies. Absent these experiences and beliefs, farmers indicated they would be less likely to make these behavioral changes. The impact of irrigation alone on perception of climate change and resulting behavior could be significant. Currently 3.2 billion acres of land globally are irrigated, and irrigation water consumption is expected to increase 11 percent by 2050. But future research should also examine the impact of other infrastructure like levees and dams, and even air conditioning, on climate perceptions, Niles said. "This could be a significant factor we're overlooking," she said. "While many of these infrastructure systems are critical to help us adapt and manage the climate, they might also influence how we perceive change. And given that experience with climate change is shown to be a critical factor for behavior change and policy support, this might have profound effects."